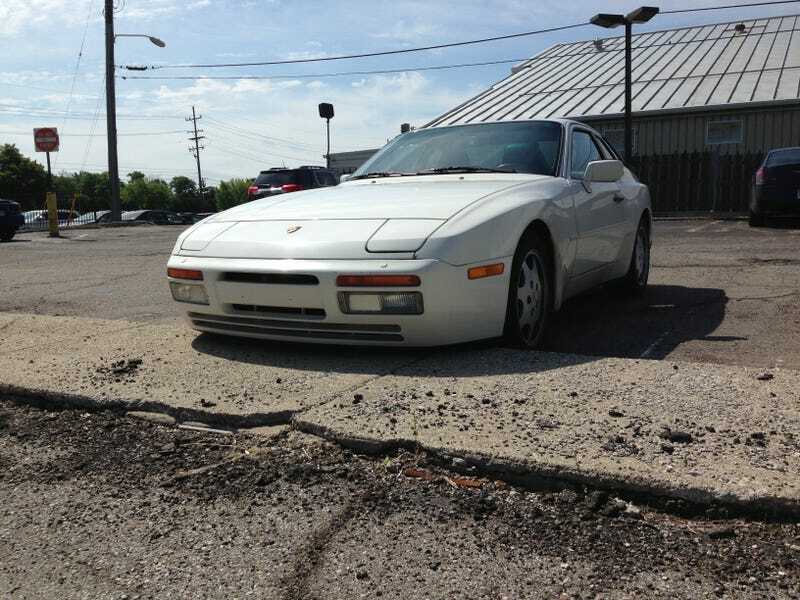 About two years ago, I saw this clean 944S2 at the sports club I work at during the summer. I was on the hunt for my own 944 at the time, and surprised that I found an S2 where I worked, I left I little note asking them to contact me to talk 944s sometime. Well, the owner of that S2 ran into me today, and she already knew me and my family before I even wrote the note! I went to the bank across from my work to deposit a check (driving the 944 of course). As I was walking to the door, I heard someone call my name as I got to the door. Confused, I looked Around and saw a lady at the ATM who looked back at me and smiled and waved. I was still confused until she said “White S2", and I realized who it was! She knows both my parents and had been meaning to call me back then but family things came up and she didn’t have the time. We chatted about the Porsche club, and our 944 affinity for a while and she told me if she ever sells her S2, she’ll be letting me know. I never thought I'd meet the owner of that car, and at the same bank of all places! I love small world happenings.